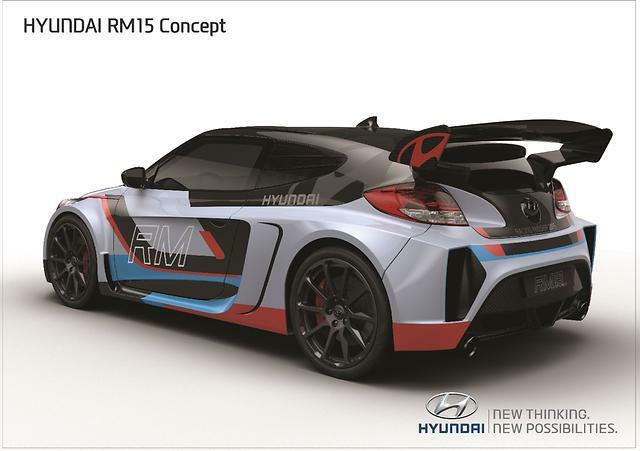 Hyundai used the Seoul Motor Show to unveil an aggressive looking mid-engined coupe concept called the RM15 (Racing Midship 2015). The concept shows just how passionate Hyundai are about delivering performance vehicles that come with advanced materials and technologies. The RM15 is built on an aluminum spaceframe that has been clad in lightweight, stiff body panels that have been carbon-fiber formed to deliver a huge weight savings over a traditional steel body structure. Thank to the large use of the aluminum spaceframe combined with carbon fiber reinforced plastic (CFRP) body panels, the RM15’s weight has decreased by 195 kg (429 lbs) to 1,260 kg (2,777 lbs)! 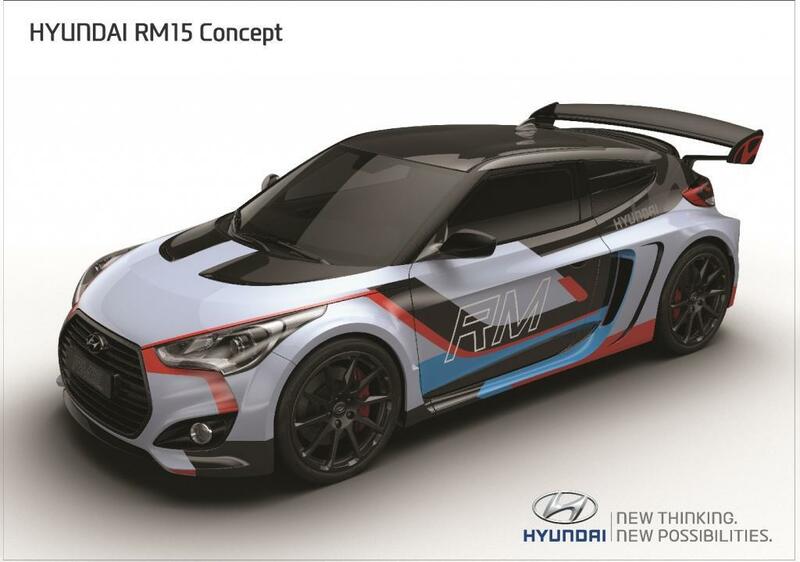 The colors used on the panels are that of the Hyundai ‘N’ brand, which is pale blue, black, red and Hyundai mid-blue. 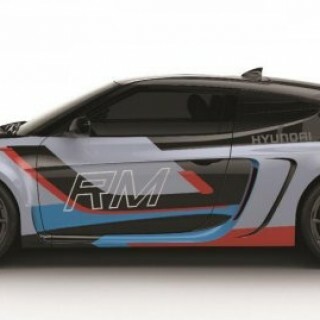 These are the same colors used on the WRC i20 rally car. Under the hood, the RM15 employs a 2.0-liter Theta T-GDI engine that has been situated between the 2-seat cabin and the rear axle to create a near perfect distribution of weight. It also helps with the handling and traction of the vehicle. The rear-wheel drive vehicle generates 300 ps at 6,000rpm, whilst also generating 383Nm of torque at 2,000 rpm. The whole setup helps the vehicle accelerate from 0-100 km/h in just 4.7 seconds. Just recently, a prototype of a mid-engined Hyundai RM15 was spied testing on a race-track in South Korea, and that could indicate a production version might happen sometime soon.